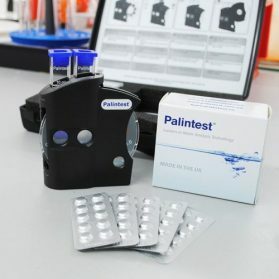 If you are testing drinking water typical levels should be below 0.5ppm, this may have increased if the utilities are carrying out works nearby. Swimming Pools typical treat at around 3ppm. For lower level chlorine testing please see the 0-5ppm and 0-50ppm comparator kits. 1mg/l is equal to 1ppm as the terms are interchangeable. Further product details are below. 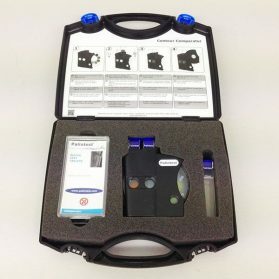 This test kit can be used to measure the chlorine level during a disinfection of a water storage tank. Please see our instructions for carrying out a disinfection with Feedchlor or Easychlor chemicals.